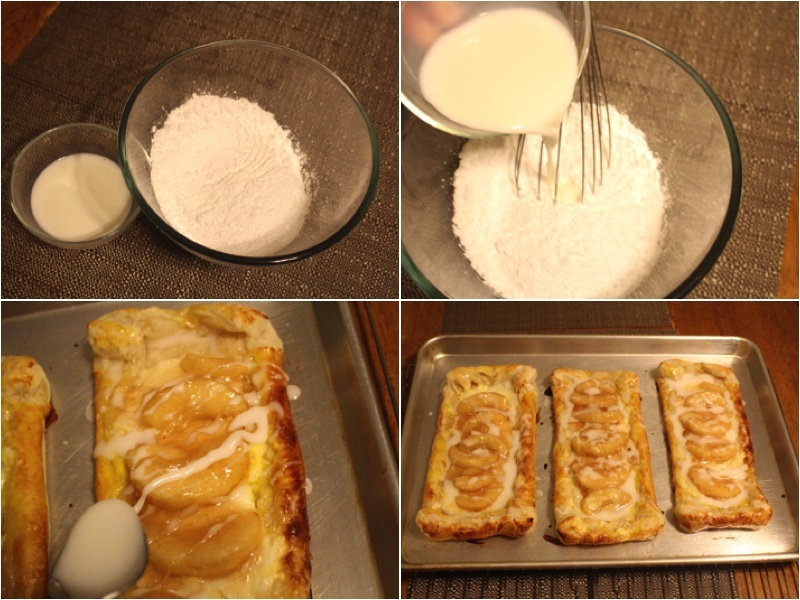 This recipe tastes very delicious because the cream cheese mixture with canned apples is a very good combination. 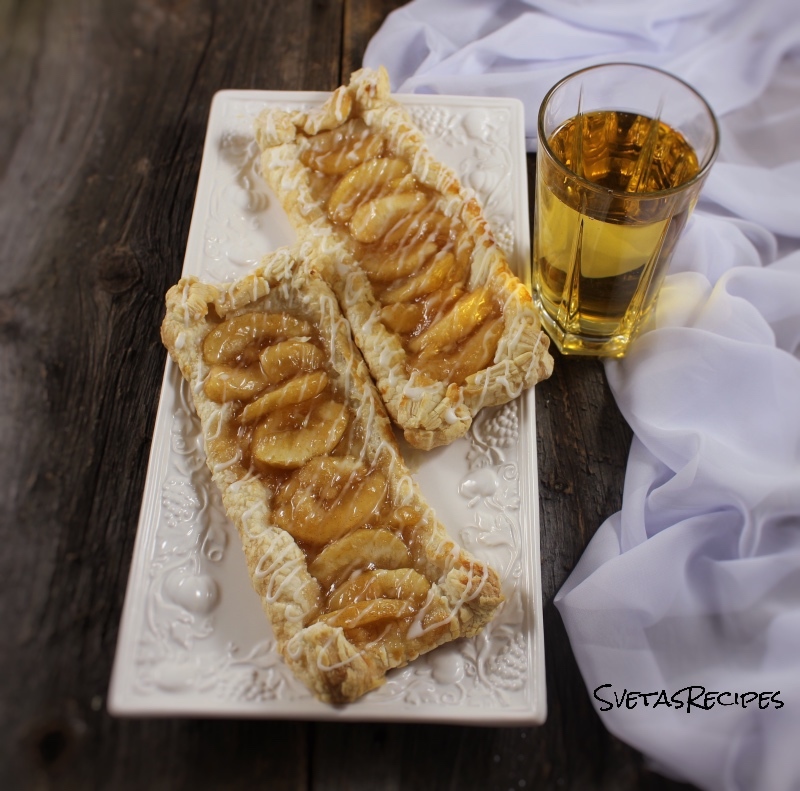 This is also a very popular recipe and I would highly recommend it because of how easy it is to make! 1.) In a small bowl mix together cream cheese and powdered sugar. Beat it until the sugar dissolves. 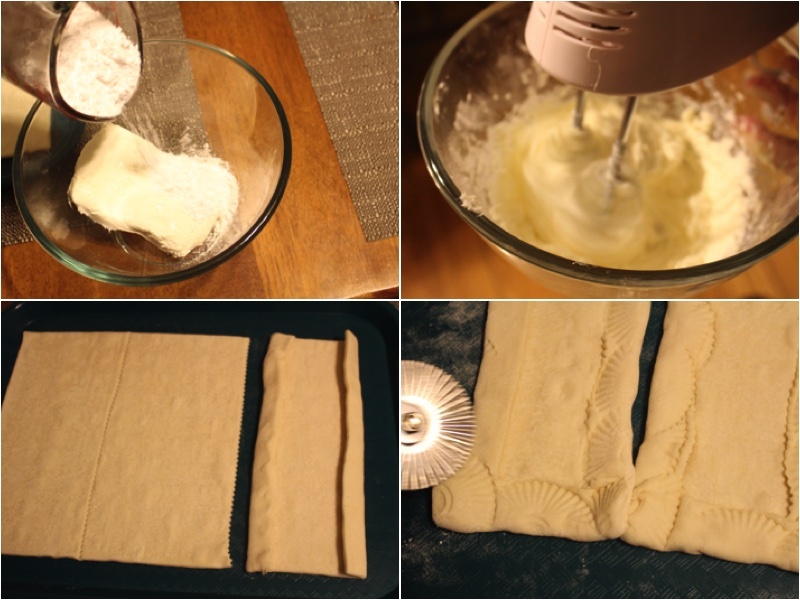 Cut your puff pastry sheets into 3 equal pieces. Make a frame around each piece and use a metal cutter to make texture on your pieces. 2.) Split your cream cheese mixture into 3 equal portions. Now spread each portion on the puff pastry pieces. Now add your canned apples, Split the can into 3 equal portions. Using a brush coat the frame with mixed egg yolks. Bake for 25 minutes on 400 degrees F. 3.) Now in a small bowl combine powdered sugar and milk. After pour some lines on each puff pastry piece. Now place on a serving dish and enjoy. In a small bowl mix together cream cheese and powdered sugar. Beat it until the sugar dissolves. 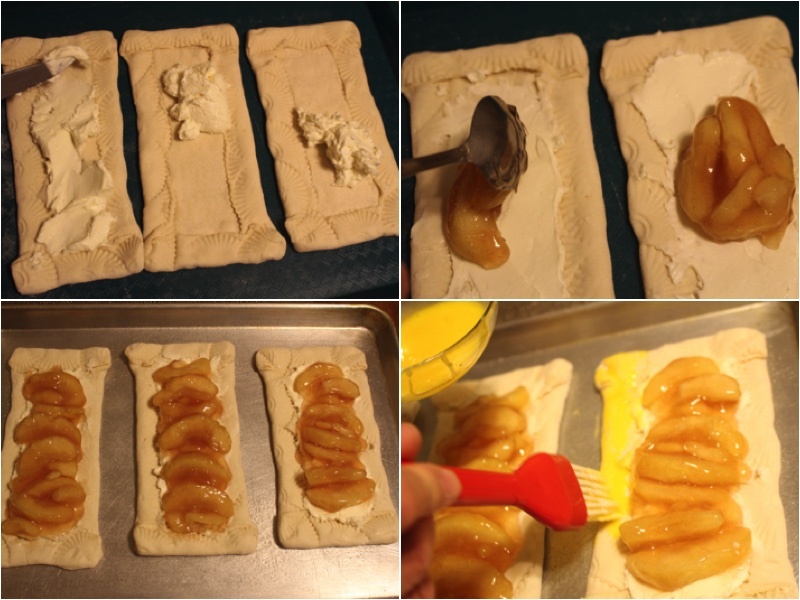 Cut your puff pastry sheets into 3 equal pieces. Make a frame around each piece and use a metal cutter to make texture on your pieces. Split your cream cheese mixture into 3 equal portions. 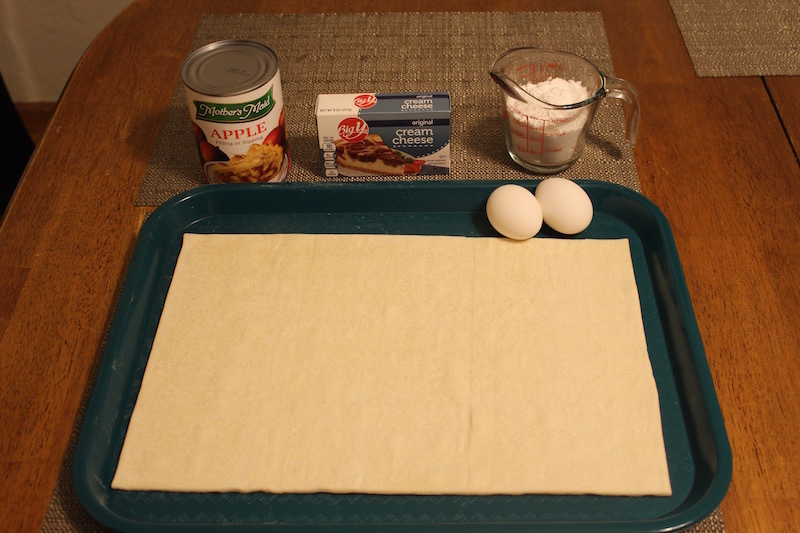 Now spread each portion on the puff pastry pieces. Now add your canned apples, Split the can into 3 equal portions. Using a brush coat the frame with mixed egg yolks. Bake for 25 minutes on 400 degrees F.
Now in a small bowl combine powdered sugar and milk. After pour some lines on each puff pastry piece.